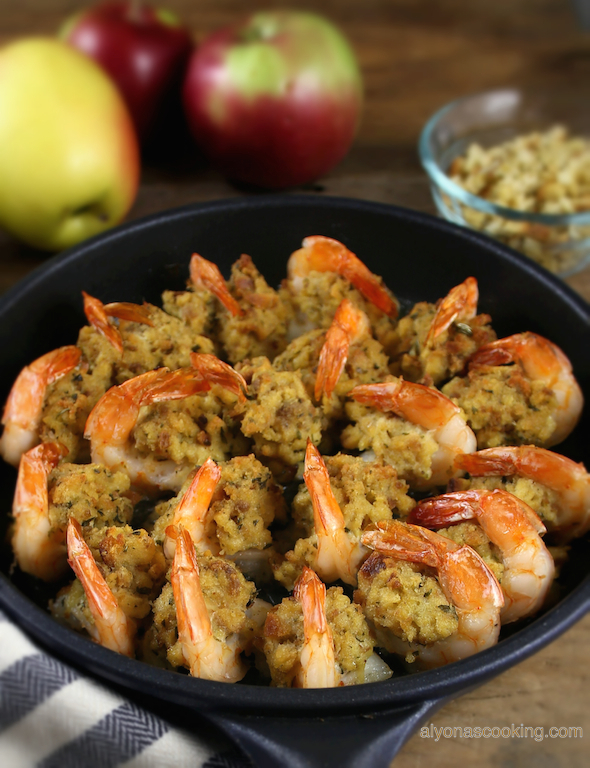 Stuffed Baked Jumbo Shrimp are so easy to prepare and taste incredibly delicious! To begin with, how I was inspired to recreate this dish. One time I had tried Stuffed Baked Jumbo Shrimp at my husbands Christmas work party at a local fancy restaurant. 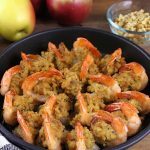 They happened to serve Stuffed Baked Jumbo Shrimp with baby potatoes as one of the main coarse meals and I was so intrigued by the appearance and taste… My mother and sister who were over when I first tried attempting these shrimp, sure did approve this tasty dish. 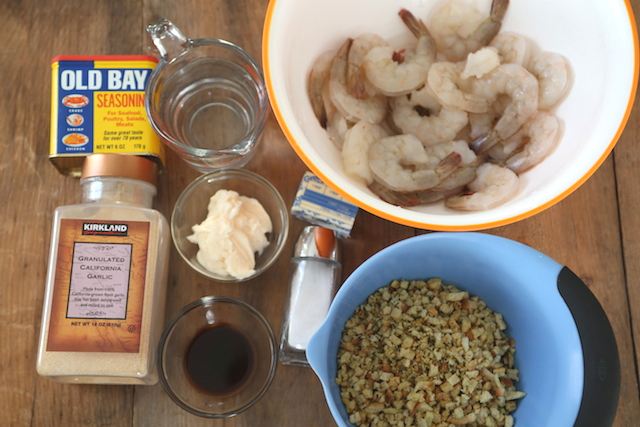 If you have never made stuffed shrimp you really need to try this! Not only is this dish pretty but you can serve this as a main coarse meal or as an appealing appetizer, the possibilities are up to you! Enjoy! First, combine the stuffing mix, mayonnaise, old bay seasoning, worestshire sauce, garlic powder, egg and water in a medium sized bowl. Then, stir to combine and set aside to thicken slightly. 2. After that, butterfly the shrimps by making light incisions in the inner part of the shrimps starting from the tail down, and remove any veins. Don’t slice it too deep in. 3. 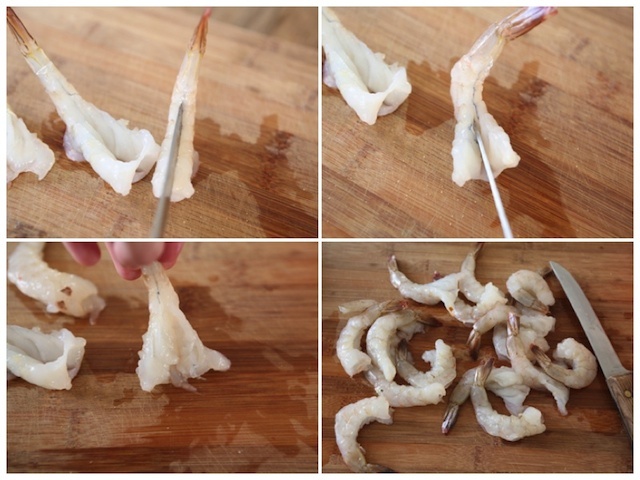 Farther more, season the shrimp with salt to taste. 4. Also, preheat the oven to 400 degrees F.
5. 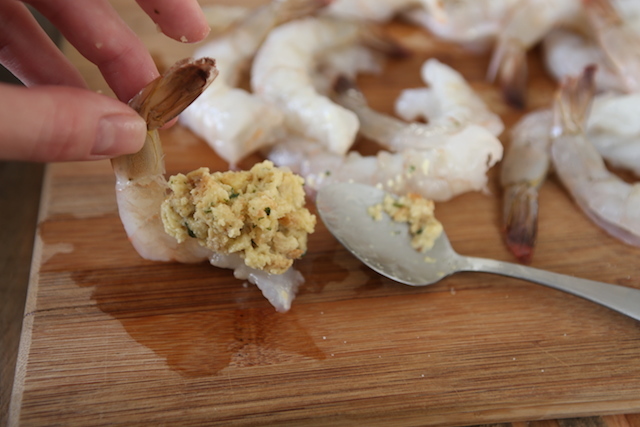 Then place a heaping teaspoon full of the stuffing mixture into each butterflied shrimp. 6. After that, place stuffed shrimp into a lightly greased baking dish or an oven safe skillet and continue to work with remaining shrimp. 7. Finally, drizzle shrimp with melted butter and bake for 20-25 minutes. These Jumbo stuffed shrimp are so easy to prepare and they taste incredibly delicious! Stuffing mix is used to stuff these jumbo shrimp. Easy and delicious. 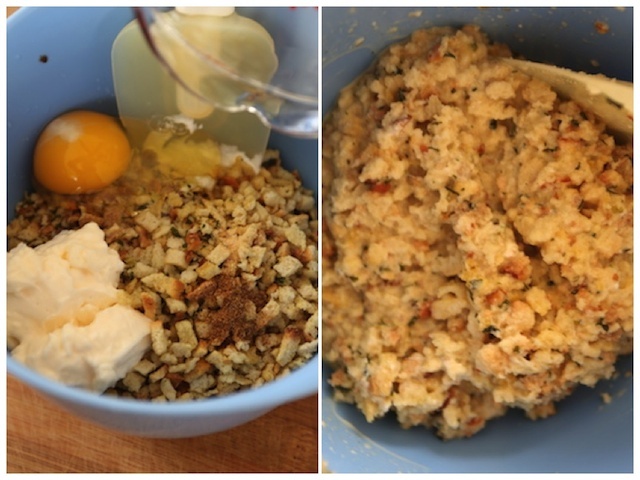 Combine the stuffing mix, mayonnaise, old bay seasoning, worestshire sauce, garlic powder, egg and water in a medium sized bowl. Stir to combine and set aside to thicken slightly. Butterfly the shrimps by making light incisions in the inner part of the shrimps starting from the tail down. Remove any veins. Don't slice too deep in. Season the shrimp with salt to taste. Place a heaping teaspoon full of the stuffing mixture into each butterflied shrimp. 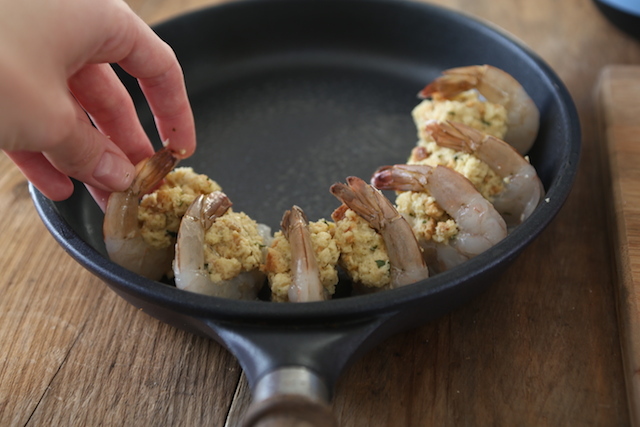 Place stuffed shrimp into a lightly greased baking dish or an oven safe skillet and continue to work with remaining shrimp. 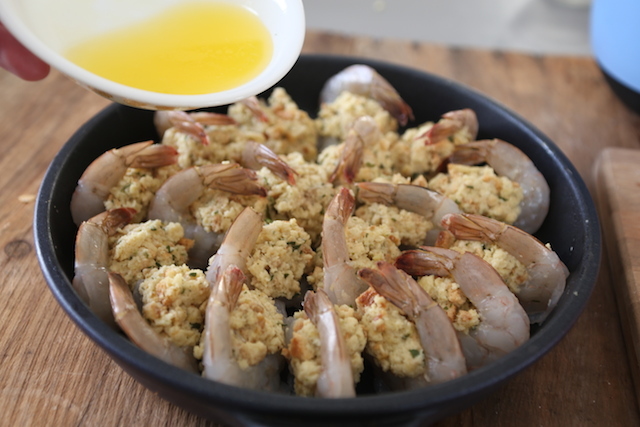 Drizzle shrimp with melted butter and bake for 20-25 minutes. You’re welcome, Steve. Thanks for the feedback! This was very good. Made exactly as written, less the salt. Used 16/20 count shrimp. Bigger would be better. Cooked 25 minutes. Also, used an entire 6oz box of Stove Top stuffing, which is just over two cups. Thank you for your feedback, Bob. It’s nice to hear it turned out very good for you! Sounds delish. I have the shrimp and stove top mix. Will try tonight. I have a question. Should the mix be made before stirring in mayo? Let me know how the stuffed shrimp turn out for you and, you would mix the mayo with the stuffing mix as directed. You are welcome, let me know how this version turns out for you.